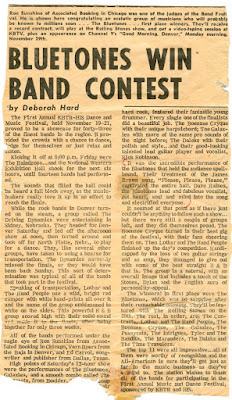 Elk Bugles: The continuing story of (one of) the greatest Colorado-recorded songs, ever. 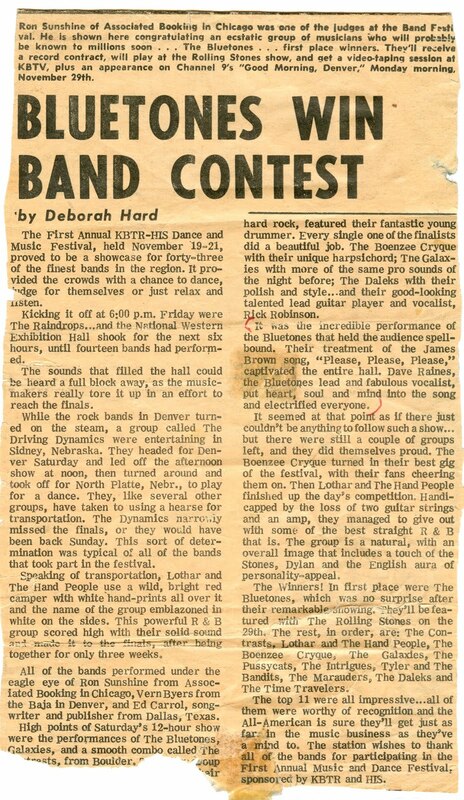 The continuing story of (one of) the greatest Colorado-recorded songs, ever. Back in 2012 I wrote a post on the late 1960s Denver group Genesis, and a frantic search for any information on what I thought was one of the greatest Colorado records ever recorded. I mean, seriously, give a listen to this sweet-oh-my-God Latin soul recording. This song still gives me goosebumps. Listen to "Time is All We Need"
If a tornado were bearing down on the house, it's one of those records I would race to grab, with the family pictures. I dropped the ball on following up, and then I got busy moving back to Colorado, in 2015. I was going through some archived emails this week, and discovered I really needed to revisit this story. Two years after I initially posted that "Does anyone have any information?" story, I rediscovered an email from past Elk Bugles blog subject, Job Vigil. "Charley Vigil is my cousin. He died of kidney failure." Job didn't have any additional information, but offered to put me in contact with another member of Genesis, Marc Gonzales, who also contacted me, in 2014. "My first recollection of Charley Vigil would have been the mid 60s when he was playing with Johnny Maul and the Cutups, out on West Colfax Avenue," Marc says. "He later went on to play with the Bluetones, who went on to win a Battle of the Bands contest and got to play with The Rolling Stones, at a concert in Denver. "I later went on to be a member of the group Offspring, with Charley. Eddie Gallegos and I were friends from Regis High School, we both grew up in Denver. 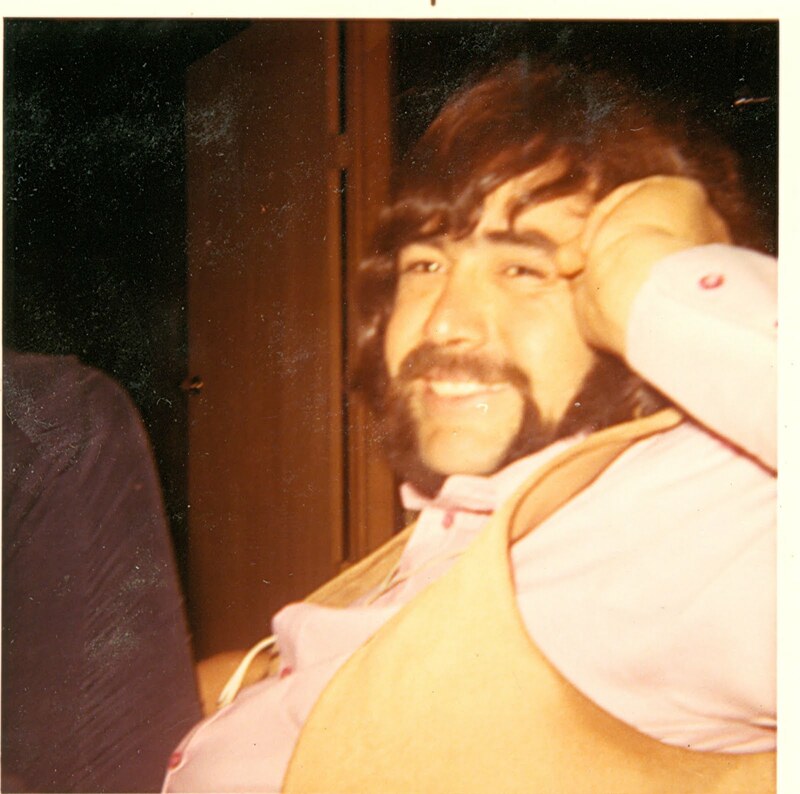 Nick Garcia, the drummer in Genesis, was from North Denver, and a friend of Eddie's. The three of us started playing in a band called 3.2 Blues to Go around 1966 or 1967. It was this core rhythm section, which merged with the Cordova Brothers and Charley to form Genesis around 1969. Gil and Bino lived in Denver." 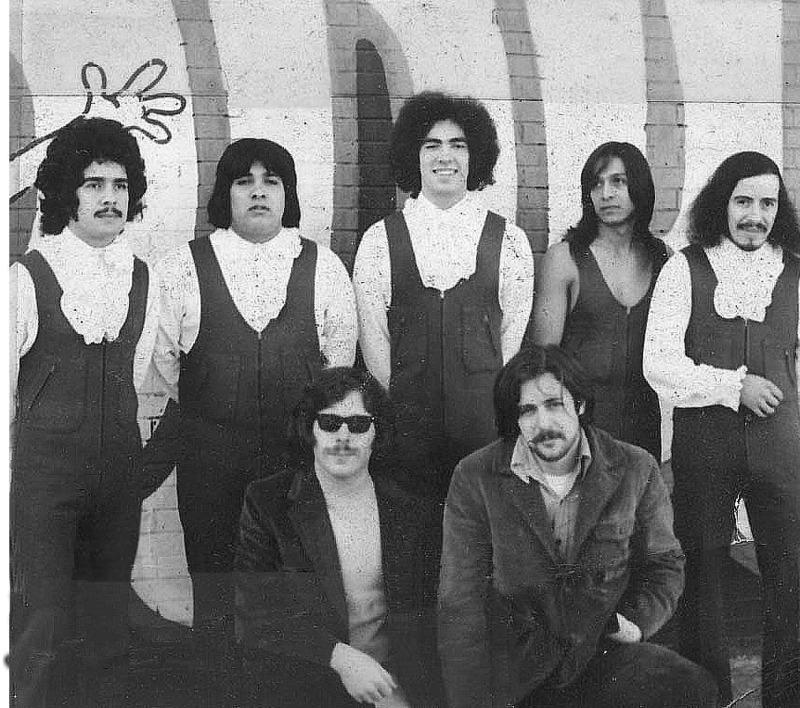 "Gil and I go back to childhood, when he was in a band called the Ravens," Eddie Gallegos said. "I was in a band called the Mergers. We all knew the same musicians." Gallegos was a prolific local guitarist, who also played in three other Denver bands of the era, The Basements, Distance, and Mestizo. "In Genesis, We all sang, but really it was Charley, Bino, and Gil who did the lead vocals," said Marc Gonzales. "Gil and Bino had voices very much like Felix Cavalieri of the Young Rascals. Charley's voice was a bit deeper, Bino had the highest voice. The harmonies were really something, as the three of them sounded just like Three Dog Night, no better! We also did a fine arrangement of 'Because,' by the Beatles, which had four and five-part harmony, I believe." "Wow, it's been over 35 years since I have heard that 45," says Genesis trumpeter, Sam Kortnicki, who contacted me this month, with additional information. I was in the group, and I believe this record was recorded in 1969. We also performed it, on TV, in Denver [KRMA, now Rocky Mountain PBS]. It was recorded at the Rayo Recording Studio, on North Federal Blvd." According to Sam, there were actually three different incarnations of Genesis. He would play in two of them. 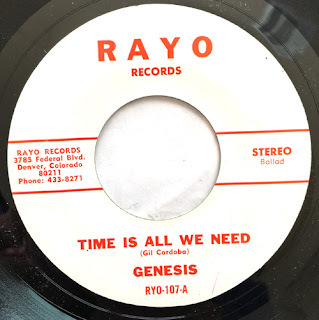 According to Sam, "Time is All We Need" was sung and written by Gilbert Cordova. "You can hear the horns on this recording," Sam said. The flipside rocker, "Follow the Sun” was sung and written by Bino Cordova. "Bino was a master guitar player," he added. "Jerry Corbetta [Sugarloaf] told me years ago that our keyboardist, Richard Velasquez, was one of the best rock keyboard players in the country." According to Kortnicki, Velasquez passed away about a year ago. Genesis would only be a brief chapter in the history of Colorado's music history, lasting less than two years. "It's unfortunate Genesis didn't last very long. Lots of strong personalities and talent don't make for harmonious relationships," said Marc Gonzales. Sam Kortnicki also confirmed that fighting among band members was the cause of the group's breakup. After Genesis broke up, Sam would go on to play several years with the popular Denver band, Brass Monkey. I'm guessing there is still much more to this story, but this is all I have, for now. I reached out again to those who contacted me, in 2014. Will add more in this post, when additional information becomes available.